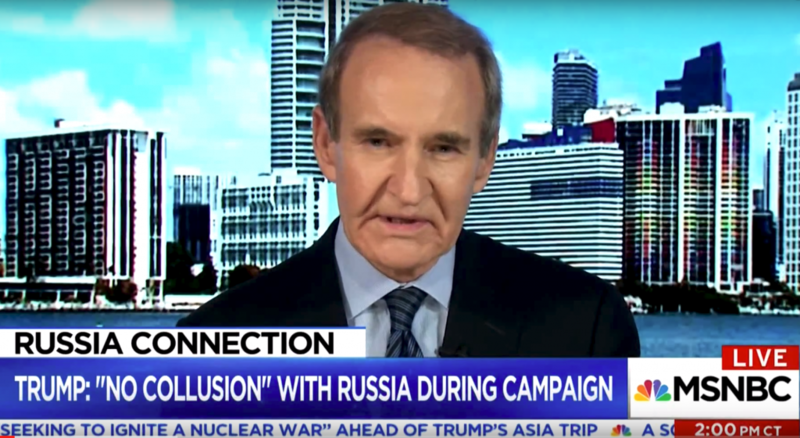 Former US Attorney Kendall Coffey speaks with MSNBC regarding President Trump’s comments about “collusing” with Russia to sway the results of the 2016 Presidential Election. Currently, there is no evidence that suggests that key campaign officials such as Paul Manafort, George Papadapolous, and Carter Page have anything incriminating to report about the President. Coffey further claims that one factor that will be critical is the result of the very long and wide-ranging interview by Special Counsel Robert Mueller’s with Donald Trump in which it will be determined if he has obstructed justice by false statement or omission.